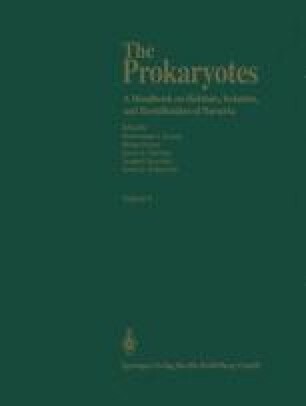 Among the most significant conceptual advances in biology made in the twentieth century was the realization that sharp discontinuities exist, on the one hand, between cellular organisms and the noncellular entities now known as viruses and, on the other hand, between those cellular organisms that are prokaryotic and those that are eukaryotic in organization of their cells. It may seem strange to a contemporary microbiologist that nonrecognition of these discontinuities, and of the related distinctions among these kinds of life forms, persisted as long as it did. In fact, manifestations of this ignorance were still with us into the 1970s when a number of plant diseases, thought for a century to be caused by filterable viruses, were first shown actually to be caused by various deformable (and, hence, filterable) bacteria without cell walls, the mycoplasma-like entities (Whitcomb and Tully, 1979; this Handbook, Chapters 167 and 169).